It's looking like Jay Z has more on his plate than twins. In a teaser for his song "ADNIS," the rapper and now father of three announced he will be releasing his newest album on Tidal June 30. A 30-second video posted on Tidal's Twitter shows Oscar winner Mahershala Ali hitting a punching bag held by Danny Glover. Pitchfork reported that the full version of the video, a short film titled 4:44, will also be starring Lupita Nyong'o. "Letter to my dad that I never wrote/Speeches I prepared that I never spoke/Words on a paper that I never read/Prose is never penned, they stayed in my head,” Jay Z raps during the video. 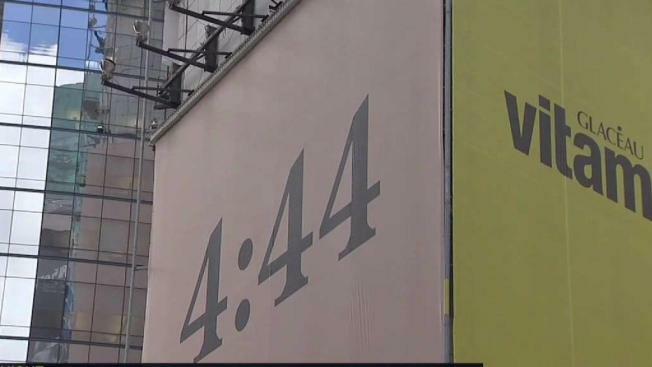 Fans have been speculating about the album after billboards and signs around New York City featured only "4:44." Both Jay and Beyoncé were born on the fourth of their respective birth months, and the couple's wedding anniversary is April 4.